For all who are interested in carpets from Afghanistan, Volume 3 of the Antique Collectors’ Club Oriental Rugs series by R. D. Parsons is a must . Parsons not only displays more than 150 color plates with beautiful examples but also provides the fascinated reader with most valuable information about the manufacture of carpets and the people of Afghanistan before and during the 10 years of war with the Soviet Union. Almost twenty years of the brutal regime of the Taliban and the war after 9/11 has, of course, devastated the country and the people further. R. D. Parsons had published the third edition of his book in 1990. It has tremendously helped me in studying my own pieces over the years . Many color plates had been added since previous editions and respective numbers have got letters, a, b, c. In the Acknowledgements section Parsons thanks Shir Khosrow Paiwand “whose superb collection of old Beluch rugs he so generously placed at my disposal.” These additional carpets have apparently been provided by Mr. Paiwand. Dinie Gootjes now reports on Turkotek that Mr. Paiwand and his younger brother have, as so many Afghans, moved in the meantime to Canada where they maintained their carpet business in Ontario. On December 5, 2009, they opened their new carpet shop in Mississauga in the Greater Toronto Area where they displayed a dozen of the rugs illustrated in Parsons’ book. According to Dinie Gootjes, the pieces have not been shown to the public since the 1980s. In contrast to claims by Ms. Gootjes, the pictures in Parsons’ book  are of higher quality than those she took in Mr. Paiwand’s location. Nevertheless, some of her close-ups are marvelous and reveal the beauty of the pieces. 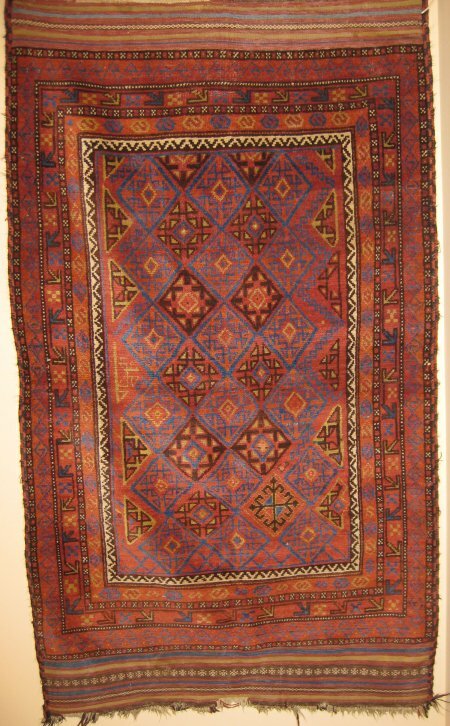 A valuable source for the study of Iranian Baluchi carpets is, of course, S. Azadi’s Carpets in the Baluch Tradition, Klinkhardt & Biermann, München 1986. 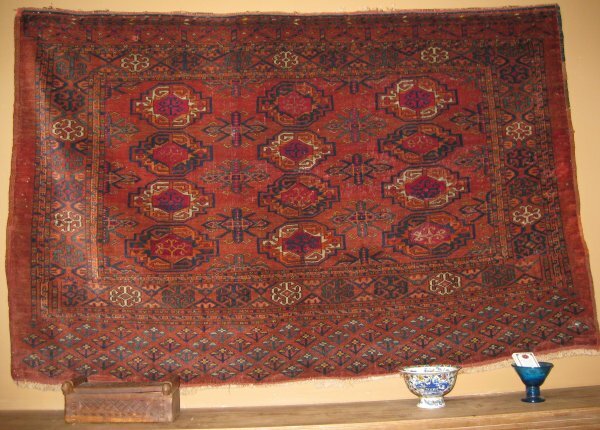 This entry was posted in Afghanistan, Art and tagged Baluchi carpets, Dinie Gootjes, R.D. 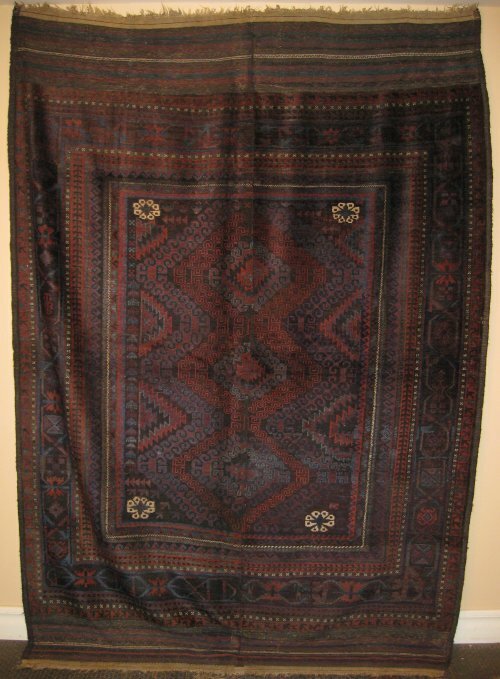 Parsons, Shir Khosrow Paiwand, Tukoman carpets, Turkotek, women's art. Bookmark the permalink. Great pics of some very lovely rugs. Thanks.